LUMBER-TAC: THE RISE OF FLANNEL SHIRT LOADOUTS! Over the last year, unless you’ve been living under the airsoft rock you’ll have noticed the lumber-tac loadouts that have been taking over our social media feeds like wildfire! What is lumber-tac as it’s known? 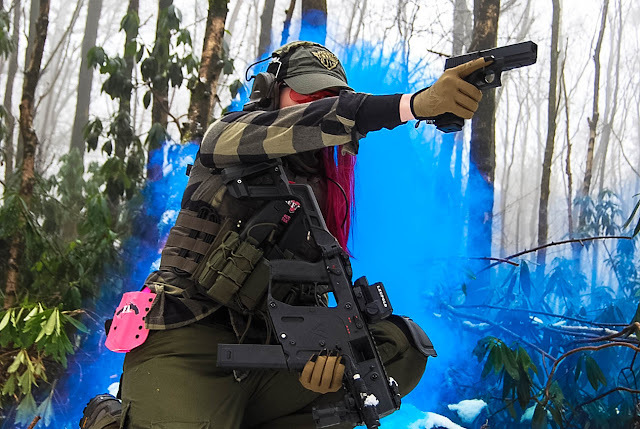 It is wearing flannel shirts in tactical loadouts and airsofters can’t seem to get enough of it! I first donned a flannel shirt loadout for a MilSim style event called Uprising 3 at Hill 559 in California, USA back in April 2017 in lieu of a traditional insurgent loadout. 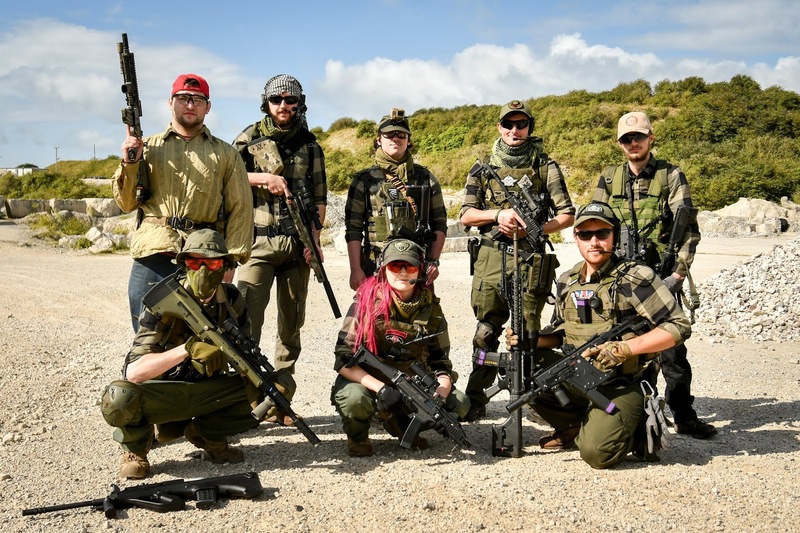 It rapidly became a favourite of mine after I donned a green variation of that flannel shirt loadout for another MilSim style event called Tora Bora Raid hosted at The Rock in Dorset, UK by PAST & Spec Ops Airsoft in August 2017. 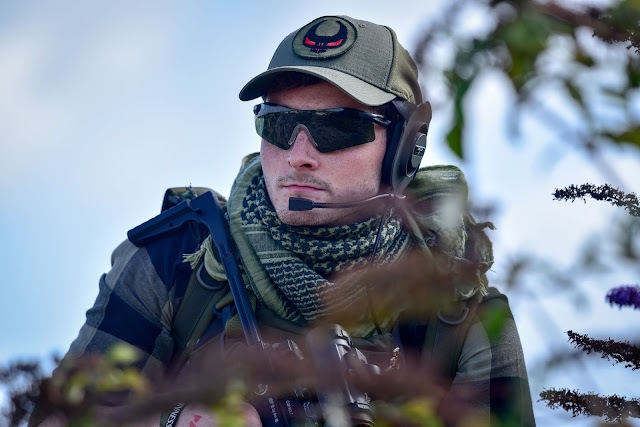 The reason I decided to start utilising flannel in my loadouts is very simple – on MilSims where I was asked to play on the insurgent side, I needed a loadout that stood out from the traditional insurgent loadout so I took my inspiration from one of my favourite video games: Tom Clancy’s Ghost Recon Wildlands! 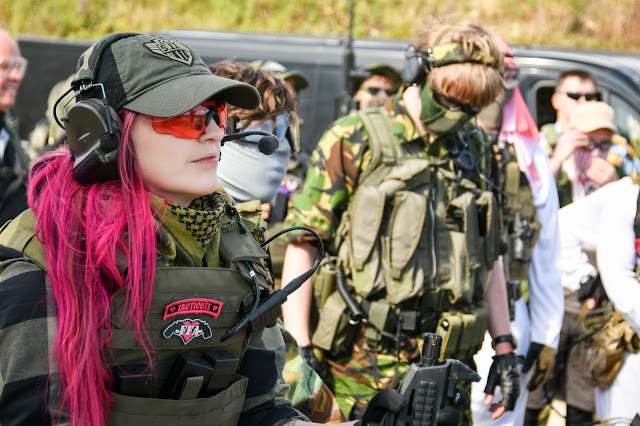 I loved the look of the operators in the game, and as there are so many patterns, style and colour variations of the shirts it’s pretty certain you’ll find a shirt that goes with your camo of choice. Whilst flannel shirts are pretty commonplace on the high street, brands such as 5.11 have cashed in on the popularity of this by creating their own line of flannel shirts and All Luck No Skill going even further to create a flannel combat shirt! It’s clear that flannel has been taken to a whole new level! What do airsofters love so much about flannel? They’re casual! One thing I personally really like about wearing my flannel shirts for airsoft is just how casual they look. You can wear them on the way to the field, or at the pub after a long days skirmish with your camo trousers and not look too out of place in the real world. They also give a loadout a really effortless look. They’re great for team identification. I like being able to recognise my teammates at a glance on the field so when me and the lads are running around a CQB site at the speed of light, seeing that flash or red/green/blue flannel in my peripheral vision tells me I’ve got back up. 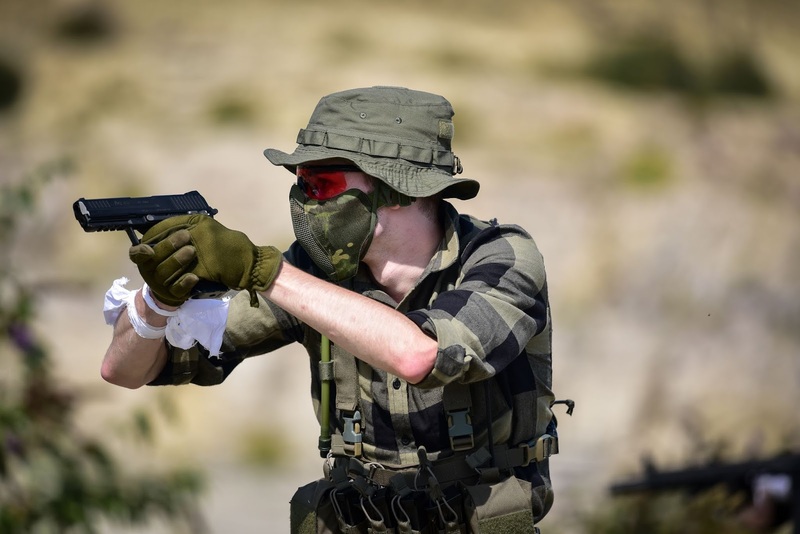 Camouflage isn’t necessary for CQB because of the nature of the environment so if you’re playing a CQB game donning a colourful shirt is a non-issue! I’ve seen a lot of comments saying that there is nothing tactical about flannel and it doesn’t camouflage well but from my own experience, the right colour/pattern can go unnoticed in dense, thick woodland areas. Through trial and error, I’ve found there’s a flannel for every camo, my green flannel goes great with Ranger Green, Olive Drab and M81 whilst my red flannel goes really well with MultiCam Black, Desert Marpat and AOR1. I’m still trying to find the right colour/pattern for my MultiCam loadout but I figure it won’t be long until I track one down! They’re cheap as chips! One of the awesome things about flannel shirts is that you don’t need to spend a fortune on them or buy the big name brands - my green flannel shirt that I wear the most often is a £10 shirt from Primark (that came in an extra small so bonus!) and I picked up my red flannel shirt for $3 at a Goodwill store on my first visit to the States. Bargains but work as well as their expensive counterparts! Heavy flannel is hot and takes a while to dry so it’s important to get the right kind of shirt for the weather/climate you’re playing in – if it’s sunny and warm out, wearing a heavy flannel shirt will be really uncomfortable to play in and take ages to dry the sweat out. Too thin and you’ll be too cold during break periods. Bright colours are unsuitable for some game sites. In the UK, we don’t tend to use dead rags so red flannel isn’t really an issue in this respect, but I feel it would be discouraged at a game site abroad where red dead flags are used because players could mistake you for a dead player. 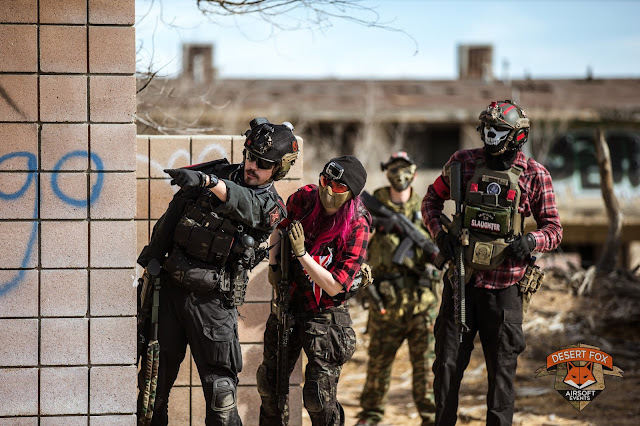 Of course, in CQB camouflage doesn’t really matter too much but red shirts in say, a woodland environment could also make you stand out like a sore thumb which can either be a good thing or a bad thing depending on whether you want to be seen or not! Tacmastermike: Love it! It’s what I wear 90% of the time! Scot Mackenzie: Tactical lumberjacks are the future. Chris Fearn: Not for me. Though I’ve seen a few pull it off well. It’s a tactical bush for me! Nate Gains: Doesn’t a company make flannel combat shirts now? Would definitely rock one! Aryan Alipour: I think only Robo pull it off, being Canadian Lumberjack and all. Sorry (RWA) Marck! Ole Blomgreen: There is nothing tactical about flannel. It’s just plain stupid. Stefan Heymann: Myself and my teammate have been rocking flannel for a few weeks now, we love it! Viktor Urban: Hmmm... me likey! My friends too! Hardwick, K. (2018). Lumber-Tac: The Rise of Flannel Shirt Loadouts. Airsoft Action. 87 (June), 80-81. E&L AKS-74UN TACTICAL MOD A AEG REVIEW! WISPORT SPARROW 20 II RUCKSACK REVIEW! DIRECT ACTION HURRICANE HYBRID CHEST RIG REVIEW!